Taxis and ridesharing services, Lyft and Uber, are available in Houston, including from both airports. Rental cars will not be needed by most attendees, but are available, including through a Hertz agency in the Galleria. 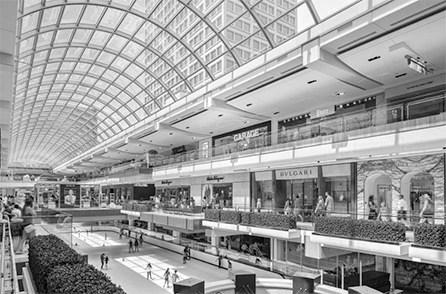 At the Galleria: There are more than 50 restaurants and food stands of all types in the Galleria. A few are listed below; for the full list and location information see Galleria’s restaurant list. Destination restaurants in Houston: See the Houston Chronicle’s Top 100 Restaurants for more options in the Houston metro area. A taxi or ride-share is required for most restaurants on the list. The conference hotel is attached to The Galleria Shopping Center. Attendees can book their reservation online ($169.00 per night for a single/double) or by calling the group reservations line: 1-800-937-8461 and referencing the Association of Research Libraries 2018 Library Assessment Conference. **Note: the conference hotel block is nearly full. Please see below for more options. Conference attendees are responsible for making their own child care accommodations. Please select “view resources” to see a list of agencies in Houston. Attendees are responsible for their own transportation to and from the conference. At the Westin Galleria, there is complimentary parking in the brown garage. At the Westin Oaks, there is complimentary parking in the blue garage. Taxi rides from both airports are approximately 30 minutes and cost about $50 each way.